If you are preparing for competitive exams like #SSC, #CGL, #BANKING, #GATE, #UPSC, #CPO or any other exam then this E-Book is for you. The only E-Book have to Buy for all best and important Math ( Topic-Wise ) Concept & Practice Questions. Life Time Free Updates. IN THIS BOOK I WILL UPLOAD LIFETIME UPDATES ON NEW AND BEST EVER SERIES OF QUESTIONS FOR (FREE) you have to buy this E-BOOK for only ONCE. This Book is written in such a way that Everyone can Become expert in Math Concept and will able to crack Any type of competitive Exam within 20 days with Guarantee Success So Buy This E-Book Now and start learning from Today to Achieve Your Dreams. 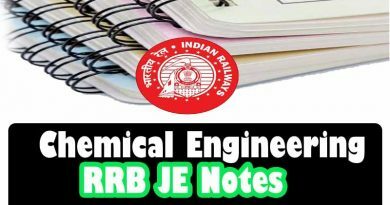 Rakesh Yadav Class Toppers Handwritten Notes for All competitive Exam download!